Prepare the vegetables by chopping into small pieces. Preferably place in a steamer or alternatively place in apan with just enough water to cover the vegetables, then cook for 15 – 18 minutes. Blend the vegetable to a puree using some of the liquid from the bottom of the steamer or the pan. 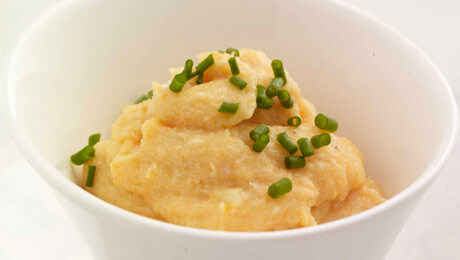 Spoon a little puree into your baby’s bowl and serve when lukewarm.